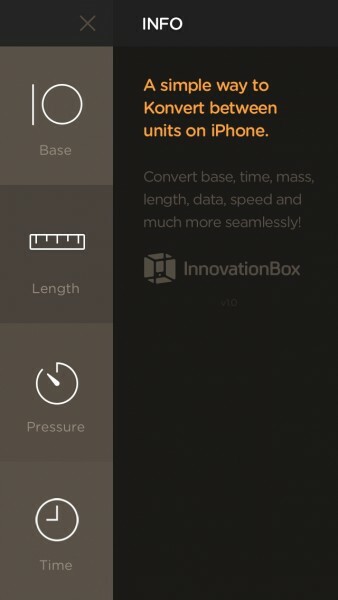 Konvert ($0.99) by InnovationBox is a sleek unit converting app that will feel at home on your soon-to-be iOS 7 device. What drew me to Konvert is the fact that it is designed to be simple, and it sports a slick looking dark interface. 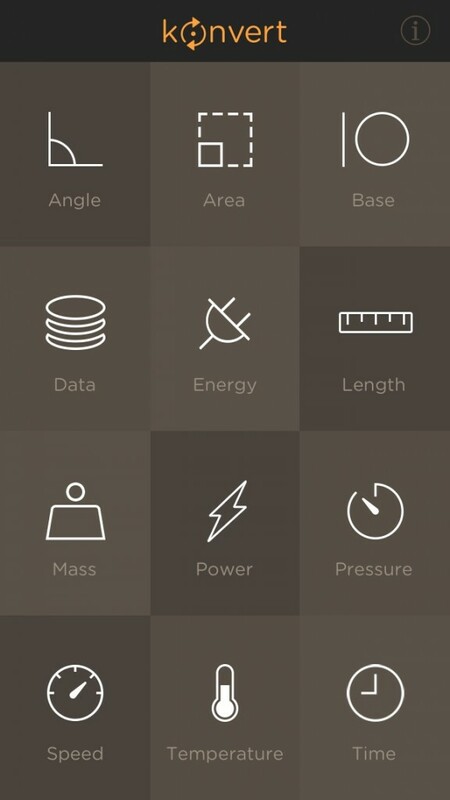 All of the buttons are flat, and the typography used is just the right weight, without being too light, unlike some aspects of iOS 7. However, once we get our hands on the final release of iOS 7, I’m pretty sure that this app will fit in quite nicely overall. The first thing you see when you launch the app is a 4×3 grid of the type of conversions you can make. 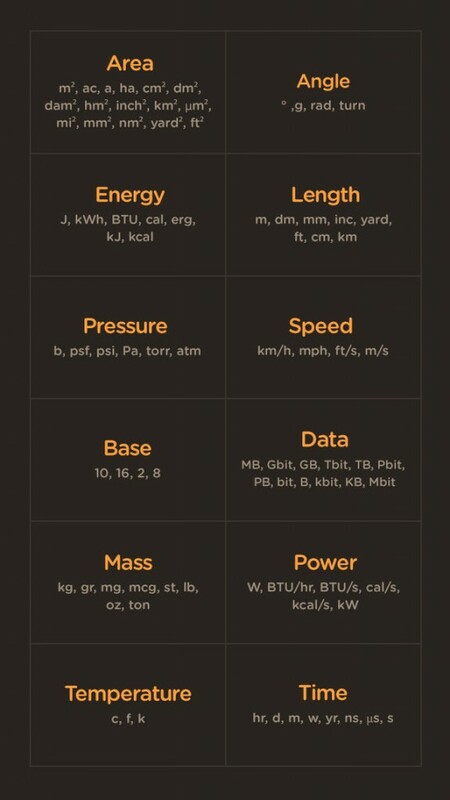 For the average person, this should be more than enough, as pretty much anything you would need is covered: Angle, Area, Base, Data, Energy, Length, Mass, Power, Pressure, Speed, Temperature, and Time. Each one is represented by a uncomplicated icon as well, so it’s easy to recognize the thing you’d want to convert from a glance. When you find the category you want to convert, tap on it, and you’ll see a beautiful and smooth animation where the panel will “flip” into the actual conversion screen. From here, the screen is split into two parts: the top will be where the conversion takes place, and the bottom half (a bit larger than the top) has a keypad for you to input your numbers. 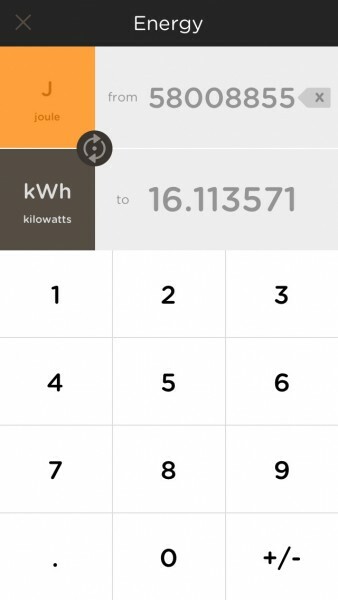 The conversion rows allows users to choose the starting and converted unit, which can be done by swiping horizontally on the unit squares. If you want to switch them, just tap on the button in between the rows. The keypad features uniform buttons, which is good for consistency. There is also a +/- button to easily change a value from positive to negative, should the need arise. As you input your starting value, the app converts it as you type, so you get real-time results. To delete a character, just tap on the “x” on the line. 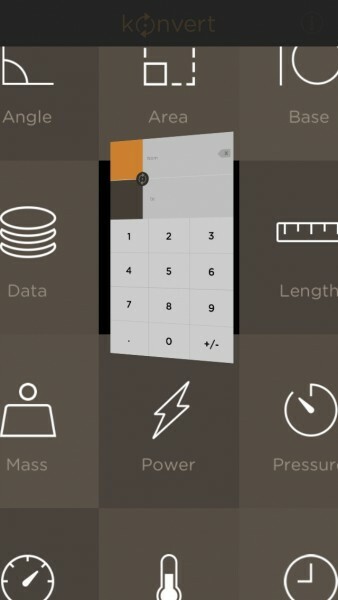 If you are looking to erase everything you just put in, tap-and-hold the “x” button. 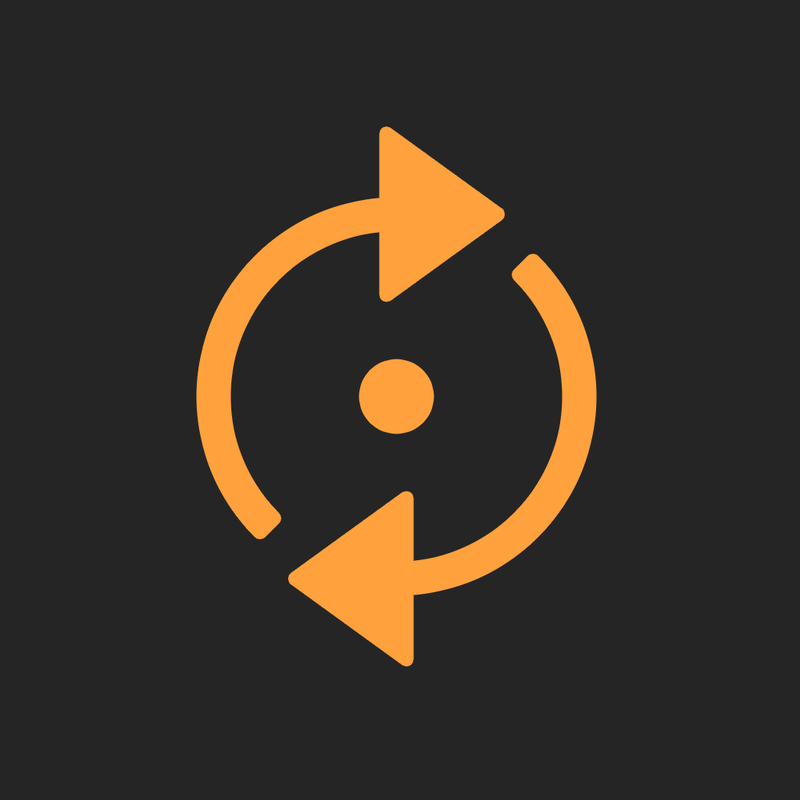 For what it’s worth, Konvert is a simple converter, and it does the job well enough. 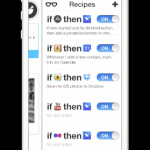 If you already have a converting app that you use and like, then this may not be something you need. 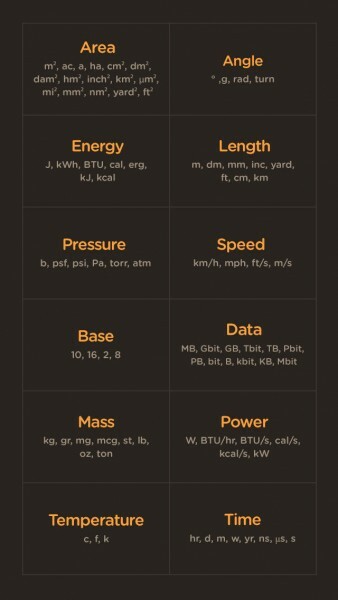 However, if you don’t already have one, and want something that is easy to use, then this is a good option to consider, especially when iOS 7 comes out. You can grab Konvert in the iPhone App Store for $0.99.